Welcome to TDG top 500 OBP update, reader. Please share, join the conversation by commenting below, on Twitter and on our Facebook page. I’ll try to do a Reddit AMA, too. By now you have surely scrolled down to the rankings and I’m writing for pride. If you’re familiar with my work, you won’t be surprised to see three prospects in my top 10. If you aren’t, let me just say that these are not normal times. I do not generally just slide the top prospects into the top of these lists, but these particular kids, man. They left me without a choice! I’ll also caution that I know not how to rank for a league that might fold, so know your league! If you don’t have confidence that your league will be around indefinitely, then sure, fade the kids. While I can’t say I have done 500 proper deep dives, I can say that i have thoroughly dissected this year’s class of ‘pop up’ stars. Last year Tommy Pham came out of nowhere to lead this author to a first place finish in industry Devil’s Rejects. This year, guys like Francisco Cervelli, Max Muncy, Jose Aguilar, Brandon Nimmo, Ross Stripling and Jose Martinez (among others) have forced dynasty owners to reimagine where upside can come from and make quick, tough decisions with only small samples with which to evaluate. I generally expect this group to continue to have success if they can stay healthy, but I have yet to see anyone (besides me) trade for them across three industry leagues. In other words, I do not have a sense of what the masses think. Maybe that’s for the best. Meanwhile, after getting caught up dreaming on Francisco Mejia (who could still be very good!) and AJ Minter (ditto!) I am actively trying to fade catchers and even my favorite closer specs. Meanwhile, in general I wouldn’t blame anyone who wants to fade all but the best of the best Proven Closers (TM) as teams like the Rays and Phillies tweak with their bullpen usage, more teams deploy their best relievers in non-save chances, and unfortunate Alex Colome / Kelvin Herrera-type trades make pumpkins out of our assets. My ranks are heavily influenced by the fact that finding good hitters that run, (or even bad hitters that run), continues to be a challenge. Of course, as dynasty owners we must balance that instinct against the reality that speed and the willingness to run can decline very quickly. Let’s talk Statcast for a moment. It was clearly overused in the preseason (gah… Austin Barnes’ xwOBA), but it’s a real punching bag right now when it can still be a valuable tool. Is it predictive? No. At least we don’t know how predictive it is. Is it descriptive? Generally, yes, and I would rather have that information than not. (I say generally, because there’s some evidence that Statcast can run hot and cold in different parks and also miss certain events entirely.) Preseason Jose Martinez and Brandon Nimmo were both guys that popped up on my “Statcast xwOBA darling” watch list… it giveth and taketh away if overused. Finally, my ranks are influenced by two consistent realities in the dynasty leagues I am in. 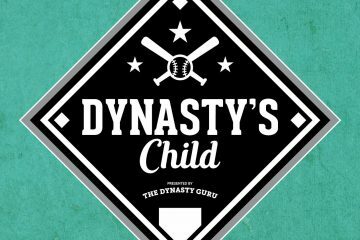 First – the natural tendency of a dynasty league is to become top heavy, with 30-50 percent of the league in some version of a rebuild. Therefore, with a high bar to start on a top heavy team, I’d prefer to take more chances on upside than roster so-so players in the Major Leagues. Second, the best teams separate themselves on OBP, which is why OBP-heavy players with shaky counting stats, such as Francisco Cervelli, tend to be more interesting to me for dynasty leagues. Said another way – the top teams are all going to float to the top of the counting stats by default, so rate stats can be the differentiating category. Follow me on Twitter and feel free to hit me up with questions there directly. Is it possible to see all 500 at once? Darvish should be listed as 120, but he’s listed as 128. I’d also love to see all 500 at once. Thanks!!! Love your lists! Dunno how to do that, but I’ll ask around. We use a table plug in to present the ranks in a more attractive manner, but it looks like the view total maxes out at 100. Any way you could add these to the Google Sheet doc with all the other rankings? Makes it a lot easier to manipulate the rankings. Thanks for the good work! I will talk to TDG managers about doing what we did preseason where donations yielded consolidated google sheet. It’s not that I am opposed to helping out individuals with something more convenient, but the reality is that this is a free site and we rely on clicks to the blog (not google drive) to get ad revenue and position ourselves as a growing entity. Fixed. Hudson Potts was listed 2x. Fixed. Luis Robert was listed 2x. Hey Tom, you’ve got Luis Robert at both 245 and 267…. Awesome list I appreciate the hard work that went into it!!! Thanks. Looks like they took Jon Lester and Fernando Romero’s spots. There may be other omissions so keep the nitpicks coming Brian and others. Eddie Rosario looks like a true breakout but way down at 160. Believe thats lower than he was preseason. Thoughts? Eddie Rosario looks like a true breakout and you’ve lowered him to 160. Thoughts? I knew he’d stand out to people because he’s young and having a great season. I expect production going forward closer to his projections, which is a slightly above league average hitter with 10 steals. I’m not opposed to being aggressive with breakout hitters, I just don’t really believe this is his true talent based on the batted ball data I looked at. Still pretty bullish on Miguel Sano…think he rebounds from this demotion?? Sure do. He was legitimately awful, but I can’t fade him anymore when he’s coming off three straight years of double digit walk rates and 220-260 ISO’s. Hey Tom really appreciate the midseason rankings. How difficult would it be to include the player ages? If too much work no big deal but I always like that reference point. I could have waited to release this and figured out how to do it efficiently, but I really wanted to get the ranks out. If Bret adds them for his top 500 maybe I can add them later. You really do like players that run. Jorge Mateo ahead of Paul Dejong? I personally think that you have prospects ranked too highly in general compared to players who have already had success in majors. Any way you could post a link so we could export this? Also curious if you could include previous ranking? My league and I have been discussing this post for a few days and I decided it was important to put some of our issues into the comments. While I recognize ranking 500 players across the majors and minors is no small feat, I really have a hard time agreeing with some of your rankings. As a positive note, I think when you look at specific positions you have done ok in their order, but when comparing position to position is where this list goes off the rails. Although this is a little difficult to determine as some OF are put in by specific position, others are just OF. I’ll try not to just ridicule your individual ranks, but without examples it’s hard to really get my point across. In general, it seems like you have ranked everyone under the pretense of “ceiling remaining” and have negated a TON of the risk associated with nearly every ranked prospect. This is evident very early in your ranks as you have Soto Acuna and Vlad higher than Turner Correa Jose Bryant Machado Judge – all of whom are excellent proven players now. 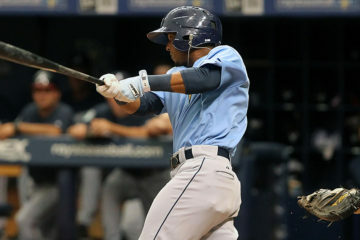 This is also seen with ranks of Buehler (59), Lewis (93), Adames (95), Whitley (97), Trammell (100) Honeywell (129) Brinson (137).. etc… Eddie Rosario is at 160 and is ranked in the top 10 hitters in my OBP dynasty league right now. Billy Hamilton (124) – you said OBP league right? Avisail Garcia (365) – shouldn’t be on this list. 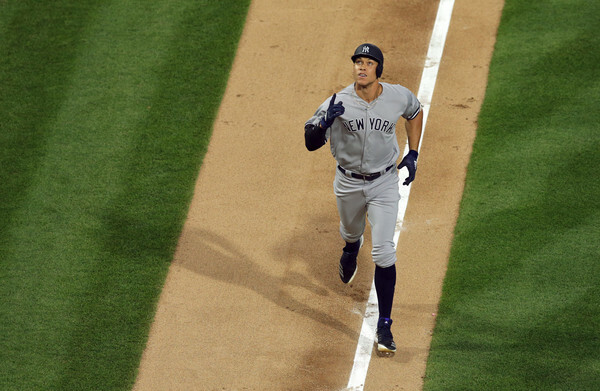 He has never hit 20 homers and is owned in only 23% of Yahoo leagues. He is waiver wire material at best and you have ranked him around actual interesting and valuable players Seranthony Dominguez, Archie Bradley, and Kyle Wright. All of your catchers outside Gary Sanchez are at minimum 50-75 spots too high; Sanchez is only 15-20 too high. Catchers bring nearly nothing and the difference in what Sal Perez brings compared to Flowers, Ramos, and Gattis is not 150 spots difference. Buster Posey wasn’t even a top 100 HITTER last year, isn’t a top 100 hitter so far this year and you have him in the top 100 players overall. Catchers are routinely some of the last players drafted and many teams use the “hot hand” approach on the waiver wire to rotate the position because of the direction teams are now taking with platoons, evaluation of defense, and the general up and down nature of the position. I really do appreciate the 500 that TDG does as really there isn’t anyone in the industry who does something like this with prospects and current MLB guys. But in comparison to other top 500s, this one was pretty poor. Greg – it’s entirely possible that this particular list doesn’t work for whatever specific settings you and your league mates play with… you seem pretty adamant about catcher value, including referencing Evan Gattis, who loses catcher eligibility next year. It’s also entirely possible that this list *was* poor (the reality is around this time of year that you could make changes every day with more information about how players perform or what roles they have, etc.). As for the objections to the aggressive rankings of kids – if you prefer to wait for youngest players to prove they are better before ranking them higher, that’s your prerogative. It’s a reasonable stance that a lot of people that I beat in dynasty leagues every year take and I disagree with. I really do appreciate the time you took to point out where my ranks sucked, but in comparison to other comments, this one was pretty dumb. I don’t know who this Greg guy is, but I feel like he is 100% on point with the insane over value of the kids on their first cup of coffee. These guys have not even been in the league long enough for pitchers to adjust ( or at all in Vlads case) yet you have 3 of them in the top 7 in ALL of baseball. Yes I get it is dynasty and the ranks will fluctuate but this is flat out preposterous. It is almost as if you have taken this once amazing list/concept and turned it into a peice written for reactions rather than a useful tool for us dynasty nerds. I have heard versions of your criticism for years. It’s boring, because it’s lazy analysis and risk free to say proven veterans are more valuable than the unproven ones as a blanket statement. This is value I believe in, the evaluation process that I’ve had a lot of success with, and (not for nothing) in he industry leagues I’m in these three kids are the most untouchable assets in dynasty. I won’t knock anyone who values a Machado more highly than a Juan Soto. I get it. But do so at your own risk. These are not normal times and this trio aren’t generic top prospects du jour. Just curious why Whitley is 97 and Reyes & Kopech are 226/227. Not saying I disagree, just have seen a lot of other people value them around evenly… so just wondering what you see in Whitley that makes him 130 ranks higher when considering them in trades. Also. If you had to pick one contrarian favorite that could jump up the rankings by the next time you do them? Thanks for the list Tom! I’d be interested in any reasoning you have for the Whitley ranking as well. Taillon is another name that is notably high on this list that I would be interested in hearing an explanation for. (Similar to MM, I am not bashing these rankings, just curious the thoughts behind them). I don’t mind specific questions where you disagree or are confused… I like them. I don’t appreciate rudeness, though. I do these for free to share my enthusiasm for dynasty with the community. See above for Whitley feedback. I suppose I will add that this far into the season we shouldn’t be afraid to discount your preseason notions of what each guy is supposed to be. Reyes and Kopech are arrow down. Taillon is too high, you guys. Eventually I have to hit publish, but with more looks he would be around 100. I tip my hats to the analysts whose opinion is unchanged week to week, but my evaluation is more like the stock market where we should pay attention to every new data point (e.g. Taillon’s crummy last start) and try not to overreact (e.g. Sonny Gray and Marcus Stroman, who is turning things around after he was radioactive for much of the season). That said, he checks a lot of boxes (velo, ground balls, park, age, pedigree, good peripherals), so I do expect the ERA to come way down. 1. Whitley is my number one pitching prospect, then for fantasy we get to consider that he has the best team in the majors (wins! defense!) and a pitcher’s park to pitch in. I have no shares, so it’s not a bias thing (which is a real problem from rankers, such as myself). 2. Meanwhile Reyes (health) and Kopech (command / production) are doing what great pitching prospects do, specifically get hurt and struggle with command in the high minors. The ceilings remain high for both, but we can already see the long term floors (always hurt and/or a power reliever). 3. A lot of the potential ‘jumpers’ are amateur draft guys that aren’t listed… my guy is Xavier Edwards. Further, my contrarian favorites are already very high (e.g. Tirso Ornelas, Josh Naylor, Oneil Cruz, Miguel Hiraldo). I try not to be influenced by any other ranks… the more I do this, the more you realize how much subjectivity there is between like 30-150 AND how different fantasy is than real life industry lists. If Max Muncy can sustain this run, he can also make it into the top 25. Obviously, most people don’t expect him to keep *this* up. Did I miss Brian Dozier? Doug – sometimes when I move guys around I will accidentally copy over a player. Dozier was in the 150 range if I recall. Thanks for catching that! Sure he could be on this list somewhere, but he looks a lot more valuable to the Cubs than to Fantasy players. Power, speed and playing time are all an issue. Obviously you still feel pretty strongly about Amed Rosario at 96, but how long would you expect it to be until he’s actually playable in fantasy? I’m in a contract/keeper league where he’s a free agent, but we only have 3 bench spots so it’s kinda hard to keep a guy that you can’t play. Still have faith in him? He’s not even playing full time anymore and has been pretty abysmal. It’s a big 2nd half for Rosario. If he doesn’t play better, he’s definitely someone that could slip into the 150-200 range and continue to follow a guy like Addison Russell out of the top 200 after that. I would point to Tim Anderson as a reason you don’t give up on Rosario, who I think has more raw power and is a little faster. I know it might seem hard to believe right now, but with more seasoning, confidence and production Rosario has 20 bombs and 40 steals in him. He’s a 6 or a 7 in the field, so the playing time should be there on a bad team. He’s still very young and has shown progress since last year’s truly abysmal debut. Great stuff Tom, thank you! He’s fine, but there’s plenty of Luchesi / Suarez types that can sneak in with a strong second half that don’t really need to be here yet. That said, 300-500 (or even 550 if it went that deep) can be re-arranged generally. In a month I’m sure there will be guys outside the top 500 that deserve to be in the 300’s and guys in the 300’s that don’t belong. Like I said earlier, eventually you have to click publish! How much would your pitching rankings change if you replaced Wins with Quality Starts? Not much because wins are already really hard to project and don’t factor too much for dynasty. In terms of short term considerations I care more about the park and defense. I imagine QS/wins differences are more important in redraft or in any given year than a dynasty list. I’m focused way more on how good I think the pitcher is and for how long they can sustain that level. The big changes would be based on things like points leagues where steals matter way less. I know some points leagues are structured such that Fernando Rodney scores more points than Josh Hader. So you do have to know your league. Trevor Bauer at 101? I would gladly trade with any manager who values Bauer so low.